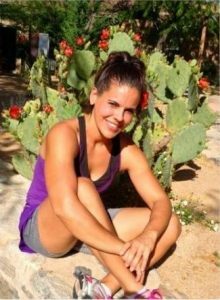 Erica is a Certified Personal Trainer offering In Home Personal Training In Scottsdale AZ. She is a Corrective Exercise Specialist and has been working in the health and fitness industry for over 10 years. She is diverse in many different styles and methods of exercise, specializing in weight loss, muscle sculpting and toning, muscle gain and post physical therapy training. Starting her career in Group Exercise, she learned many different training through continued education, encompassing kickboxing, cardio ball, body sculpting, aqua fitness and more. Accepting the position of Health and Wellness Director at a YMCA, she expanded her career by attaining her personal training certification along with achieving the YMCA of the USA Trainer certification. She moved here from the Midwest to work in one of the top fitness facilities. Continuously expanding on her education and experience, she is also skilled in myofascial release of tightened/knotted muscle tissue (a common reason for imbalances, pain and injuries). She looks forward to helping you with your fitness goals. Contact her to set up a free assessment today! Learn more about Personal Training in Scottsdale AZ with Erica T. Submit your name, e-mail, address, city and any comments/ questions you might have.